Landline and GSM phones can be also called automatically via the internet with this type of connection. You will need a VoIP Service Provider to be able to call these devices. Calling analogue networks are supported too. 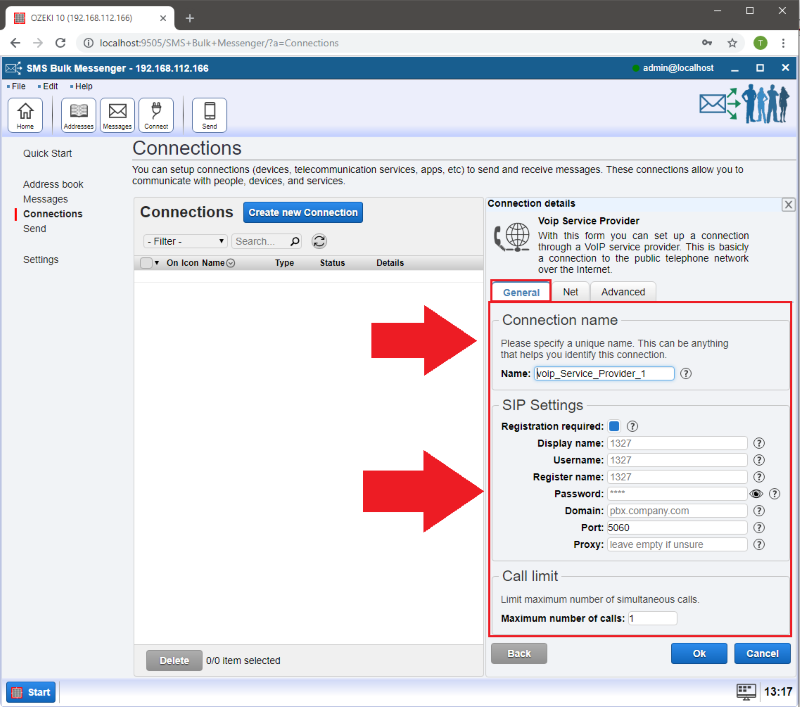 Below I would like to show you how to setup a VoIP Service Provider connection in your Ozeki Bulk Messenger software. 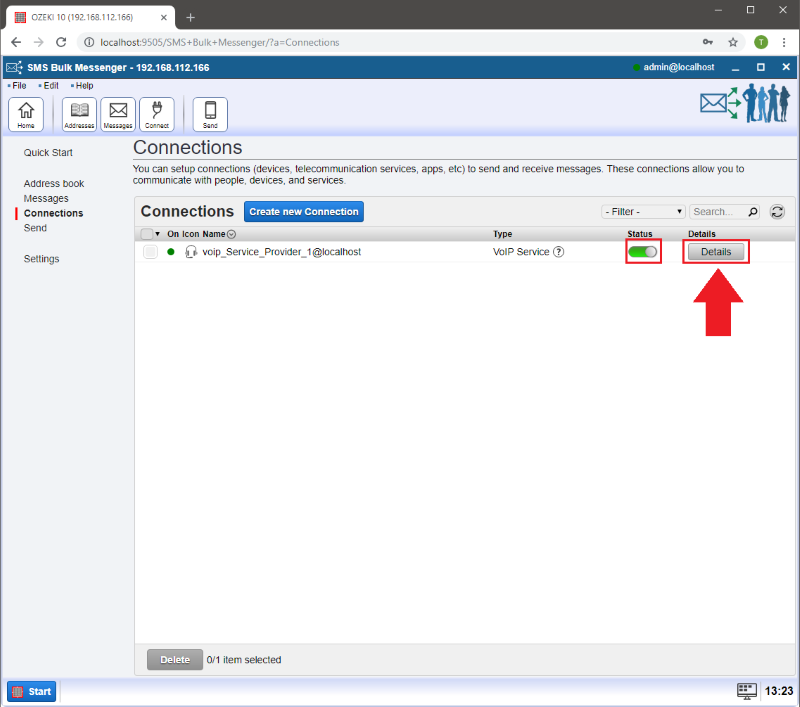 Go to the 'Quick start' page and select 'Step 3 - Connections'. After the new page appeared click on 'Create new connection'. 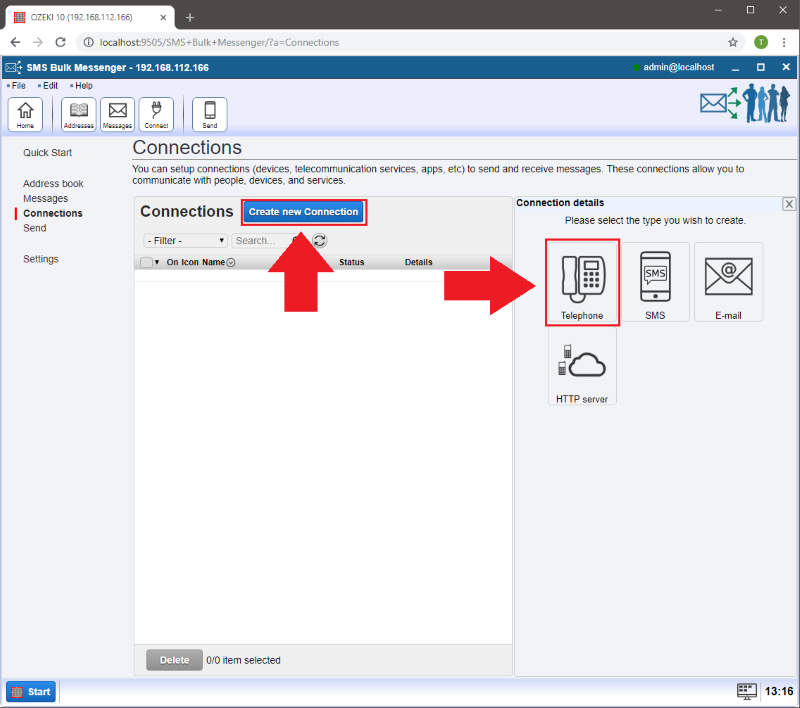 Then select the 'Telephone' connection. 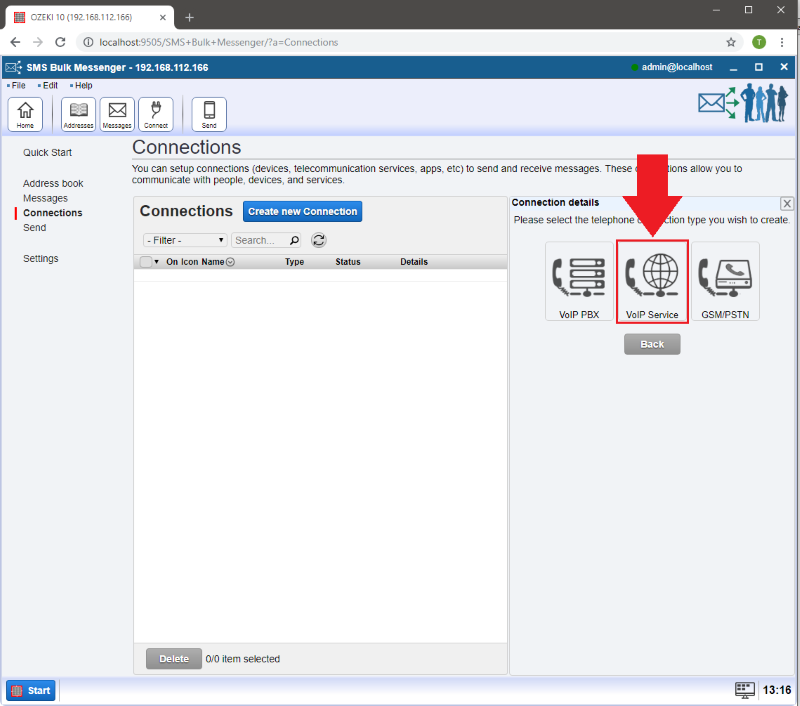 On the right in 'Connection details' window, select the middle one 'VoIP Service'. 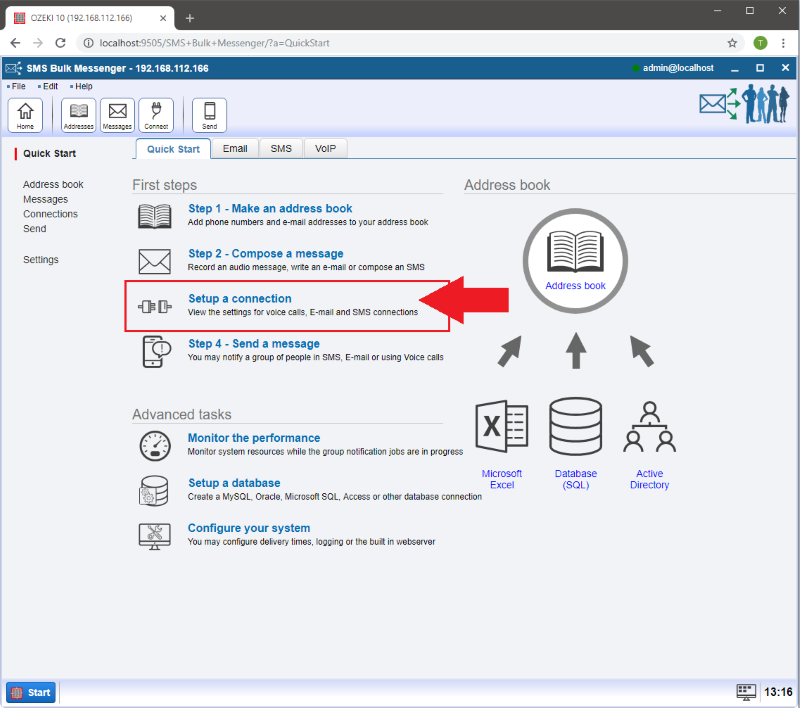 At SIP Settings make sure there is a blue box next to 'Register'. 'Display name': is your Caller ID. This number appeares on the phones you will call. 'Username': This will be your username which is needed for logging into the system of the VoIP provider. 'Register name': Usually username and register name can be the same but there are systems that requires a different one. 'Password': This protects your connection to your VoIP Service Provider's system. 'Domain': This is probably the most important data. Here you have to add your VoIP Service Provider's address. 'Port': In most cases this is 5060. This specifies the SIP port number for the VoIP Service Provider. 'Proxy': If the VoIP Service Provider has a proxy address, give it here. If it is not required you can leave it blank. You can specify how many automated calls you would like to make at 'Simultaneous calls' and define the maximum ring time at 'Max. ring time', which may be limited by your VoIP service provider. 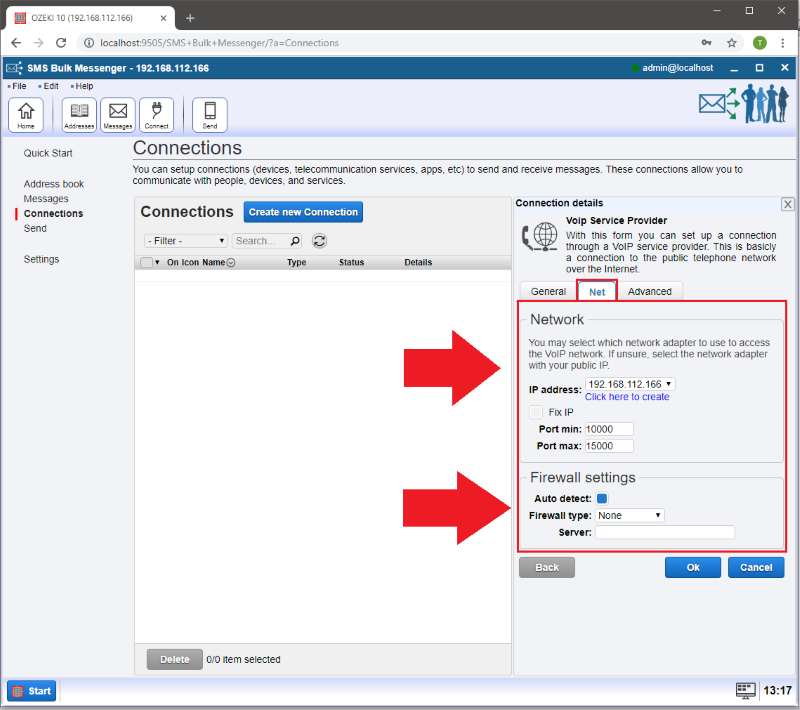 If you go to 'Net' tab you can setup your network adapter which will be connected to the 'VoIP network'. Also 'Firewall settings'. 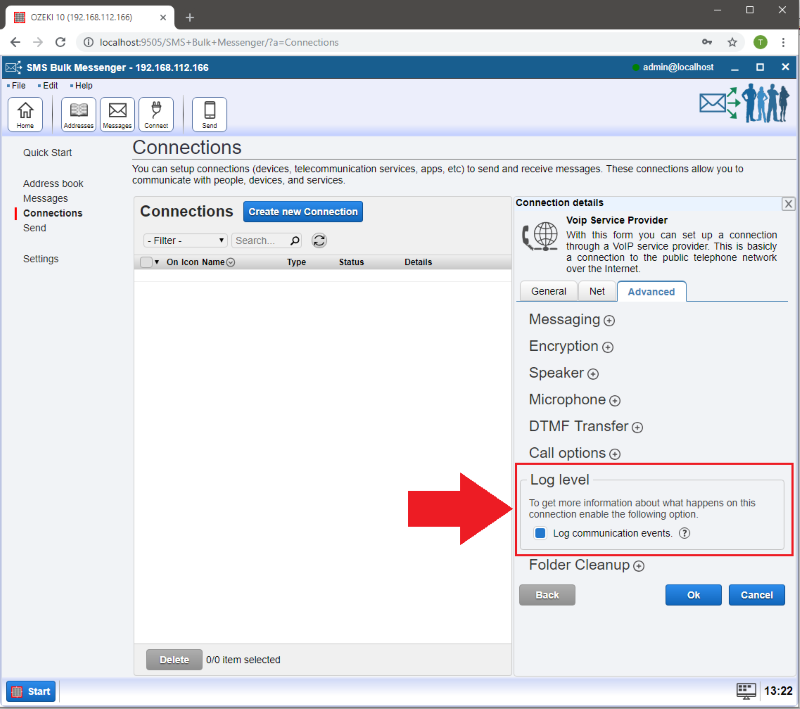 At 'Advanced' tab you can transfer the calls to a live person if DTMF response is received. 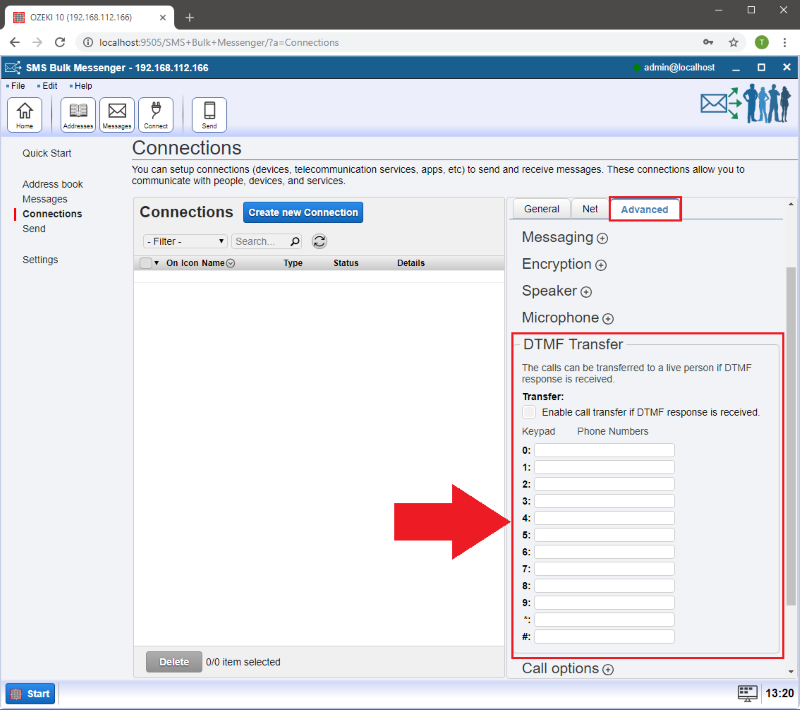 Check the box next to 'Enable call transfer if DTMF response is received.' and add the phone numbers below to the suitable keypad. In the 'Log' menu you can log your calls. You can enable and disable logging by checking the box next to 'Log communication events'. If a green pipe appeared it means your connection has been established.